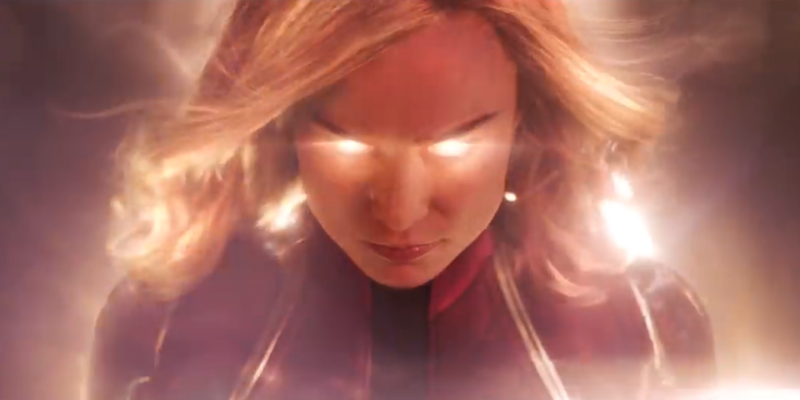 A beginning and an Endgame: A look at the 'Captain Marvel' and 'Endgame' trailers – AiPT! The gang at AiPT! discuss the ‘Captain Marvel’ and ‘Endgame’ trailers. December has been a pretty good month for fans of comic book movies. Into the Spider-Verse is getting great reviews while Aquaman has done impressive numbers in overseas ticket sales and looks like it may be pretty good. Marvel Studios also made sure no one forgot about them. Here is what AiPT! thought of the trailers for Captain Marvel and Avengers: Endgame. Which trailer got you more hyped? Dave Brooke: Endgame made me more emotional, but Captain Marvel got me way more hyped. To see Captain Marvel flying through space, blasting spaceships with glee…now that is something to marvel at. The superhero movie genre seems to be always growing and building in new and exciting ways and Captain Marvel appears to be doing that as we enter the Phase three cosmic age of Marvel Studios. Nathan Simmons: I agree with Dave! Endgame got the tears flowing, but Captain Marvel got my blood pumping! We all know an Avengers flick is going to be a spectacle, but I honestly wasn’t prepared for how bonkers the CM action sequences were going to look! It’s so great to know that Marvel Studios can still show us something new, even after all this time. Justin Cohen: I agree with both Dave and Nathan! I’m more excited for Endgame at the end of the day and the trailer gave me all of the feels, but Captain Marvel got me hyped! It really seems like something different for Marvel, and it looks absolutely awesome. MCU movies have an excellent track record but the law of averages says that one of them will eventually disappoint. Was there anything in either trailer that has you a little worried? Dave: Endgame might be a slow burn. I’ve already read it is close to 3 hours in length if not longer. From what we saw it’s a lot of somber and sullen moments. I’m sure there are tons of great action scenes, but from what we saw it could be a slower paced film. Nathan: The jokes in both Captain Marvel trailers have worked for me, but I do hope the movie doesn’t rely too heavily on 90’s callbacks for laughs. This is only our second period piece in the MCU, so the temptation may be there for them to lean on those gags. We’ll see, though! Justin: I’m truly not worried about either. I didn’t see anything that worries me, and these are both too important to mess up. Marvel has already made some weak films. I don’t think either of these will be one of them. Did either trailer change any perceptions you already had about either movie? Dave: Oh ya! Captain Marvel‘s trailer got me thinking about how they’ll use the mythos of the character and the cat is an intriguing element to be sure. Nathan: Endgame is already showing me I have no idea what to expect. I had assumed the movie would either open with Tony and Nebula traveling together or with a big jump ahead in time to see how the world moved on after “the snap.” Those somber opening moments with Stark all on his own proved that the Russo Brothers still have surprises for us! Justin: Nope. Just got me even more excited for both of them. What was your favorite part of either trailer? Dave: In Captain Marvel, it has to be that space shot of her blasting spaceships. In Endgame I’d go with Tony’s opening scene. Nathan: My favorite is the moment right before Captain Marvel goes on a spaceship-blasting spree. I’m just wild about that shot of Carol powering up and looking like she’s about to dropkick Frieza. I am HERE for Super Saiyan Brie Larson. All day. Justin: Tony’s opening scene in the Endgame trailer. Fans of comics and the MCU don’t need trailers to get them excited. Which trailer does a better job of appealing to casual fans? Dave: Probably Captain Marvel since it doesn’t require viewers to know 20 years of movie history (save for Nick Fury’s presence of course). Anyone can drop in and have fun with it since it’s a Superman-in-space sort of story. Nathan: Agreed. Captain Marvel’s setting in the timeline may also make it more accessible to newcomers. Justin: Captain Marvel for sure. You 100% need to have seen Infinity War to understand the Endgame trailer or have any investment in it. Last minute gift ideas for the geek in your life!